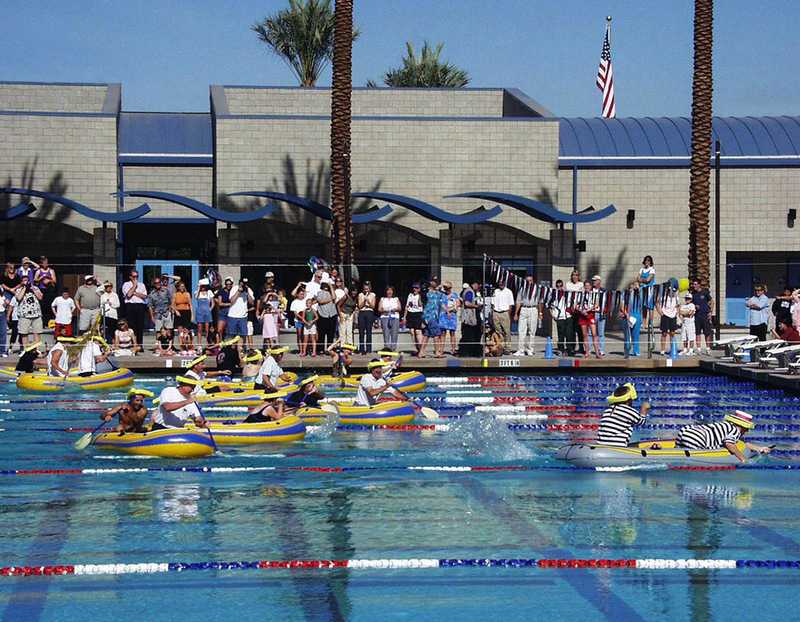 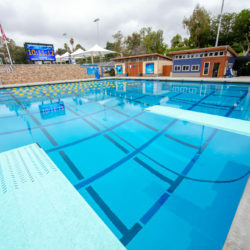 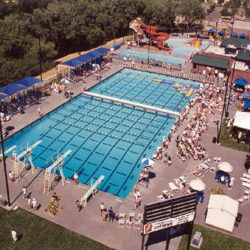 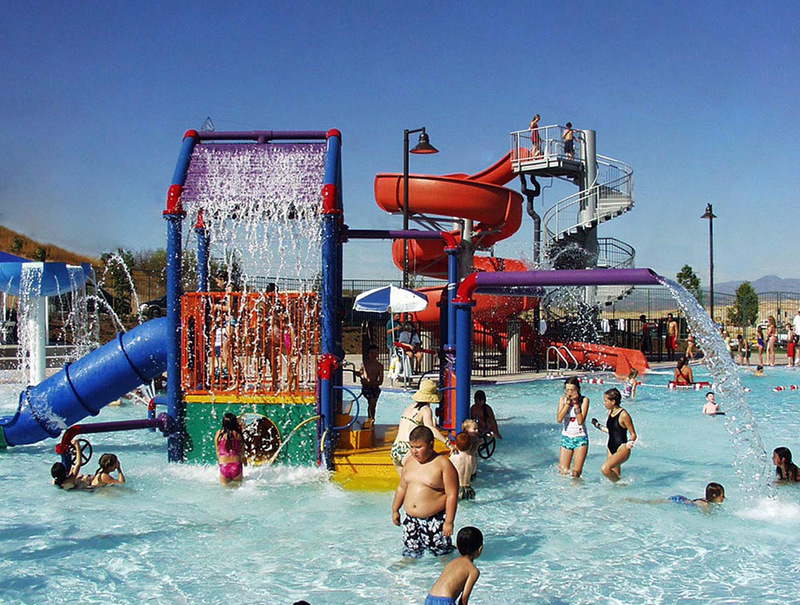 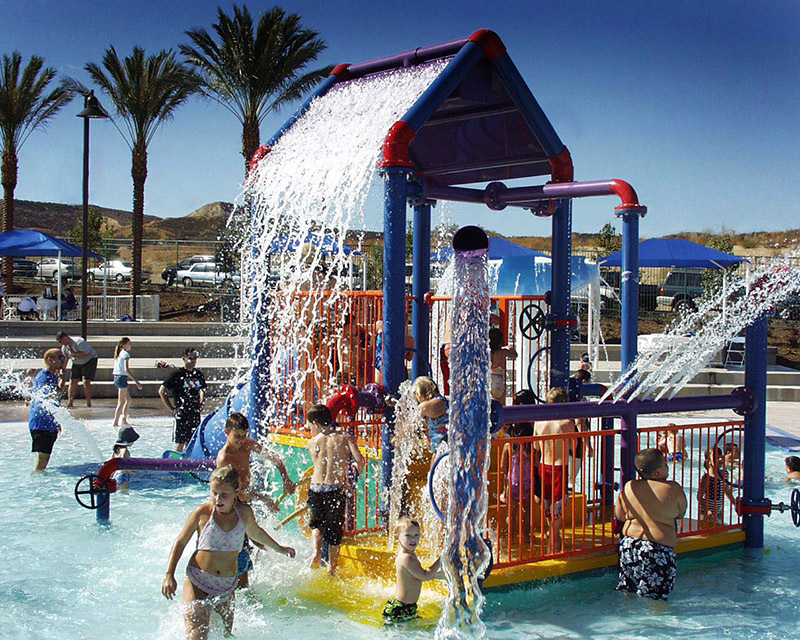 The Santa Clarita Aquatic Center opened in October 2003, quickly becoming a popular source of aquatic recreation for both orgainized aquatic events and fun water play for community participants of all ages. 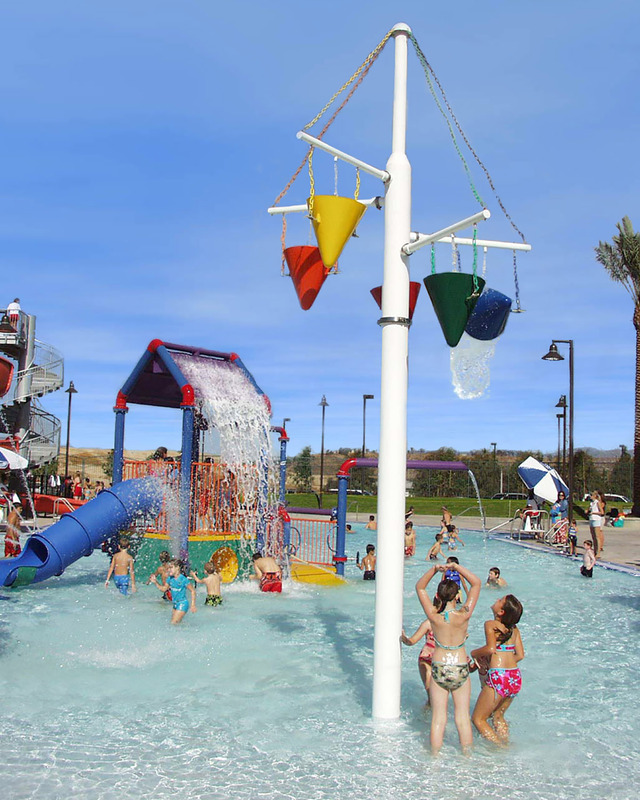 The City of Santa Clarita and RJM Design Group gathered public input on the amentities to be included in the facility by conducting several community participation workshops. 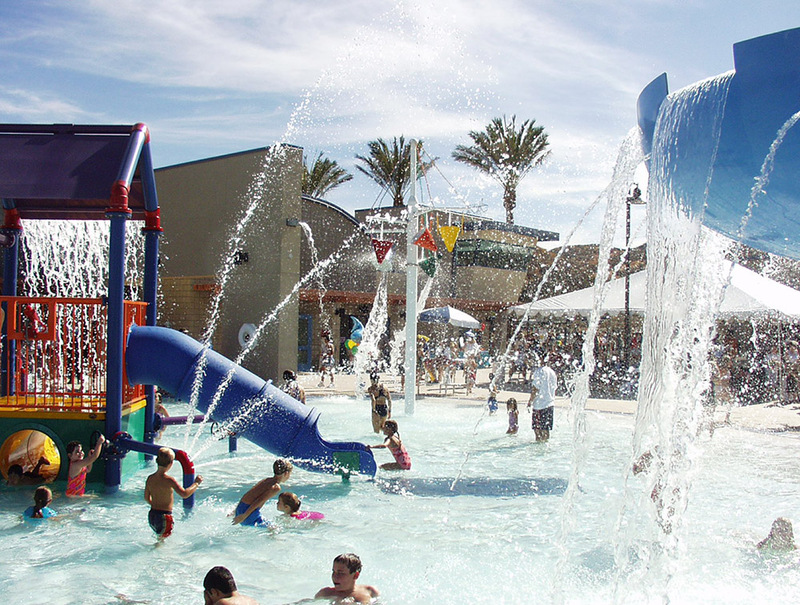 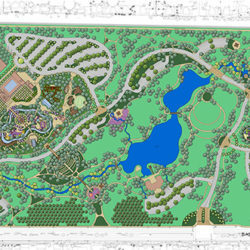 The 7-acre site provides a diverse pool program by defining and separating different use areas with topography and landscaping. 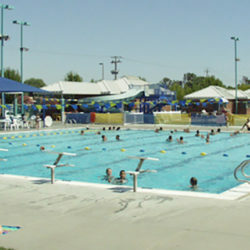 The Aquatic Center offers three pools, consisting of a 50 meter competition pool with a competition timing system, a 25 meter dive pool, and a recreational/activity pool, complete with water play equipment, a 160 foot water slide, concession building, locker/changing rooms, and lighted, landscaped grounds.